Animated videos are gaining more and more popularity nowadays. We use animations for different purposes starting from running effective marketing campaigns to congratulating a friend with a creative animated video message. The question is where to find a software or an online tool that can perfectly meet our needs. Depending on your skills, you can choose from different types of software available both offline and online, for professionals and amateur users, 2D and 3D animation creators, etc. Some animation software can seem to be too complicated for a basic user and some online video makers can be unaffordable. 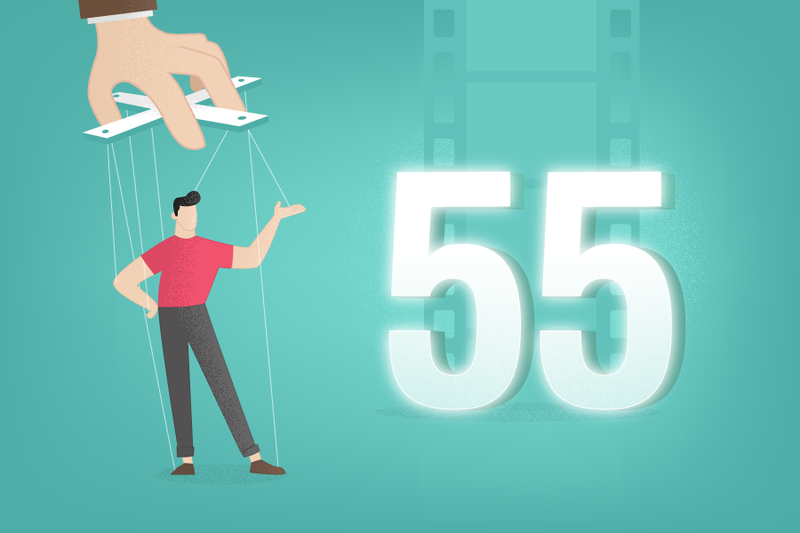 We'll introduce 55 top animation software and leave it to your own consideration to choose the best one. You can find the ultimate list below. 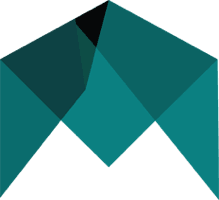 Description: Moho is a proprietary vector-based 2D animation software for animators. The Moho software has two different versions: Anime Studio Debut and Anime Studio Pro. The first one doesn't have all the functions that the Pro version has, plus the Debut version is a bit more restricted in terms of possible length and image size. Anime Studio Pro no longer supports the Linux platform. Anime Studio is available in English, German and Japanese language (and Spanish since version 9.2). Description: Synfig Studio is an open source, free timeline-based, and 2D vector graphics computer animation program. 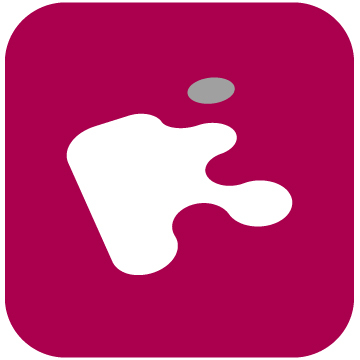 Synfig is a real back-end and front-end application, that allows you to design your animation in front-end and render it in backend at a later time even on another computer, without having to connect the graphical display. Description: Adobe Animate is a computer animation and multimedia authoring program developed by Adobe Systems. If you need to create vector graphics and animation, Animate is the right tool for you. You can, later on, use your creation for websites, online videos, rich internet apps, video games, and television programs. 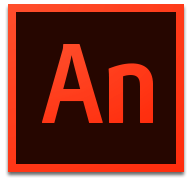 Adobe Animate offers support for video and audio embedding, ActionScript scripting, rich text, and raster graphics. 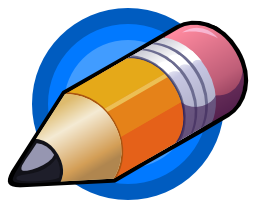 Description: Pencil2D is an open-source and free 2D animation software. You can easily produce simple 2D drawings, graphics, and animation by using the bitmap/vector drawing interface of the application. It started as a simple "pencil test" at first and developed into an animation software. 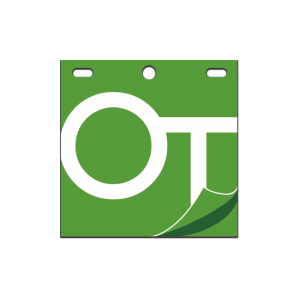 Description: OpenToonz is an open-source 2D animation software. Toonz Premium is the professional product of the same family. 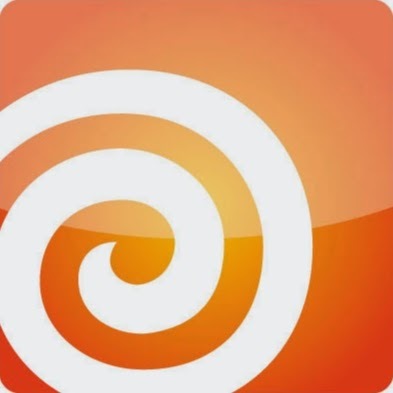 This software has been used to create many different films and games, such as Futurama, Anastasia, Asterix in America (in this movie the part of the sea storm was created by Toonz completely), and much more. 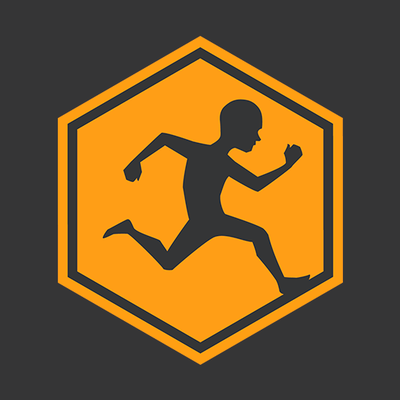 Description: TupiTube is an open-source application to create and share 2D animation content focused on children, teenagers, and amateurs. The main feature of this tool is the easy animation creation process, which includes only 5 simple steps. Description: TVPaint Animation is a 2D digital animation and paint software package, that has been developed by TVPaint Developpement SARL. The software supports most of the operating systems existing today. It has been used to create many animated and otherwise movies. 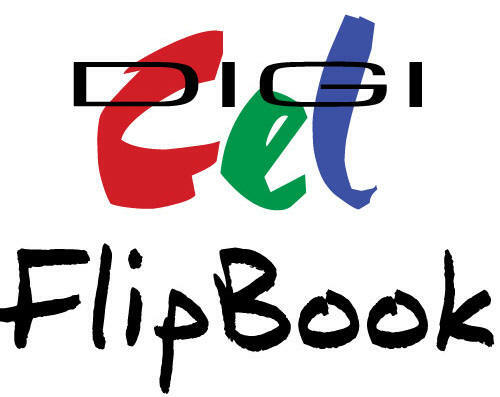 Description: DigiCel FlipBook is a 2D animation software. It was created with the intention of duplicating the animation process in its traditional form, much like Toon Boom Harmony and TVPaint. As FlipBook wants to keep the traditional aspect and the traditional toolkit of the animation, it does not support skeletal animation. Thus each frame has to be created and drown separately and inbetweening is performed via onion skinning. The toolkit is raster-based and supports direct digital input of a drawing using graphics tablet and scanning the physical drawing via either webcam or TWAIN-compliant scanner. Description: DrawPlus is an animation and 2D vector graphics editing software developed by the UK-based software company Serif. DrawPlus provides very realistic brushes, which can give the user the opportunity to create drawing with watercolors, oils and other media and you can retain the vector editing capability. DrawPlus is also able to produce Stop frame and Keyframe animations, including output to Adobe Flash SWF file format and support for ActionScript. Description: RETAS (Revolutionary Engineering Total Animation System) is a 2D animation software bundle developed and sold by Celsys that is available for Microsoft Windows and Mac OS X. It handles the entire animation production from digitally drawing or tracing to exporting in Flash and QuickTime, and is considered to be a leader in Japan's anime industry. Description: The Antics 2-D Animation software is a proprietary vector-based 2-D application for animators and graphic designers, running under Microsoft Windows. It was created in 1972 by Alan Kitching, the British animator, graphic designer, and software developer. From 1977 to 1998 the Antics software was continuously developed and was widely used by many studios around the world. 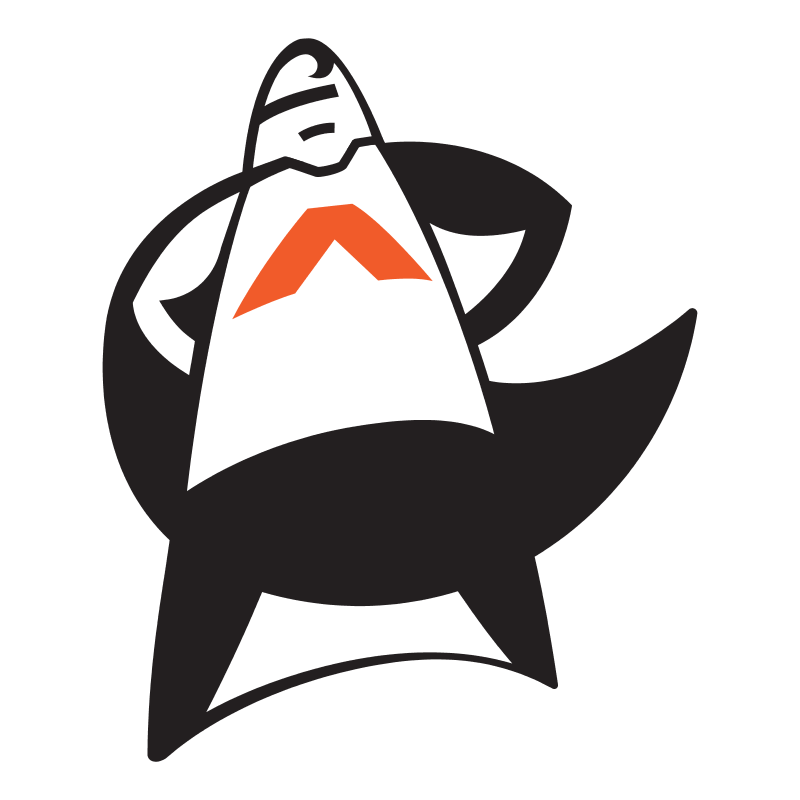 The software of that time ran under Unix and Fortran, which by the late 1990s had been superseded by newer multimedia-oriented systems based on C++, and support for the older Antics was discontinued in 1998. In 2006, a project to build a completely new Antics software for C++ and Windows was begun, and the first published version made available in 2010. Description: Autodesk 3ds Max, formerly 3D Studio, then 3D Studio Max is a professional 3D computer graphics program for making 3D animations, models, games, and images. It’s developed and produced by Autodesk Media and Entertainment. It has modeling capabilities and a flexible plugin architecture and can be used on the Microsoft Windows platform. It is frequently used by video game developers, many TV commercial studios, and architectural visualization studios. It is also used for movie effects and movie pre-visualization. For its modeling and animation tools, the latest version of 3ds Max also features shaders (such as ambient occlusion and subsurface scattering), dynamic simulation, particle systems, radiosity, normal map creation and rendering, global illumination, a customizable user interface, new icons, and its own scripting language. Description: CINEMA 4D is a 3D modeling, animation, motion graphic and rendering application developed by MAXON Computer GmbH in Germany. It is capable of procedural and polygonal/subd modeling, animating, lighting, texturing, rendering, and common features found in 3D modeling applications. Four variants are currently available from MAXON: a core CINEMA 4D 'Prime' application, a 'Broadcast' version with additional motion-graphics features, 'Visualize' which adds functions for architectural design and 'Studio', which includes all modules. 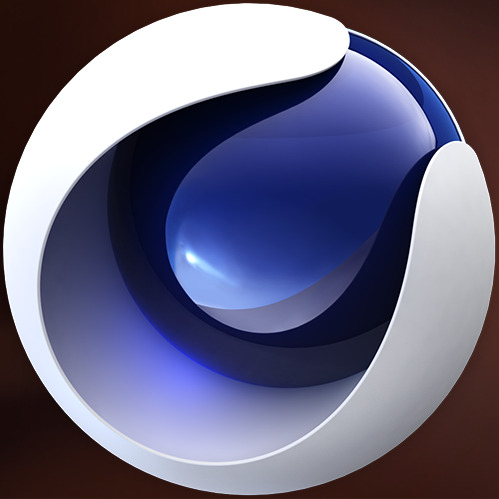 Initially, CINEMA 4D was developed for Amiga computers in the early 1990s, and the first three versions of the program were available exclusively for that platform. With v4, however, MAXON began to develop the program for Windows and Macintosh computers as well, citing the wish to reach a wider audience and the growing instability of the Amiga market following Commodore's bankruptcy. Description: Houdini is a 3D animation application software developed by Side Effects Software based in Toronto. Side Effects adapted Houdini from the PRISMS suite of procedural generation software tools. Its exclusive attention to procedural generation distinguishes it from other 3D computer graphics software. Houdini has been used in various feature animation productions, including Disney's feature films Frozen and Zootopia; the Blue Sky Studios film Rio, and DNA Productions' Ant Bully. Side Effects also publishes a partially limited version called Houdini Apprentice, which is free of charge for non-commercial use. 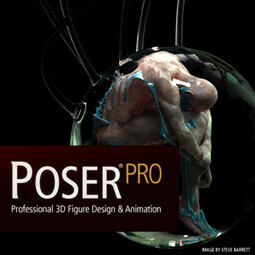 Description: Poser is a 3D computer graphics program optimized for 3D modeling of human figures. The program has gained popularity due to allowing beginners to produce basic animations and digital images, and the extensive availability of third-party digital models. Poser is a 3D rendering software package for the posing, animating and rendering of 3D polymesh human and animal figures. Akin to a virtual photography studio, Poser allows the user to load figures, props, lighting, and cameras for still and animated renderings. Natively using a subset of the Alias object (OBJ) file format and a text-based markup for content files, Poser comes with a large library of pre-rigged human, animal, robotic, and cartoon figures. The package also includes poses, hair pieces, props, textures, hand gestures, and facial expressions. As Poser itself does not allow for original modeling of objects, a large community market of artists emerged, creating and selling Poser content, made using third-party software like Modo, ZBrush, Blender or Autodesk 3ds Max. Description: iClone is a real-time 3D animation and rendering software program that enables users to make 3D animated films. Real-time playback is enabled by using a 3D video game engine for instant on-screen rendering. Other functionality includes: full facial and skeletal animation of human and animal figures; lip-syncing; import of standard 3D file types including FBX; a timeline for editing and merging motions; a scripting language (Lua) for character interaction; application of standard motion-capture files; the ability to control an animated scene in the same manner as playing a video game; and the import of models from Google 3D Warehouse, among many other features. 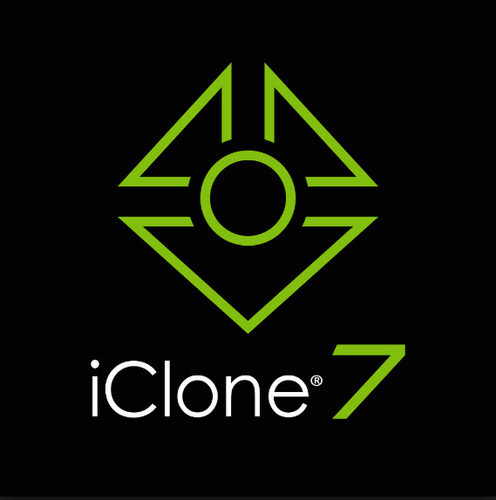 iClone is also notable for offering users royalty-free usage of all content that they create with the software, even when using Reallusion's own assets library. 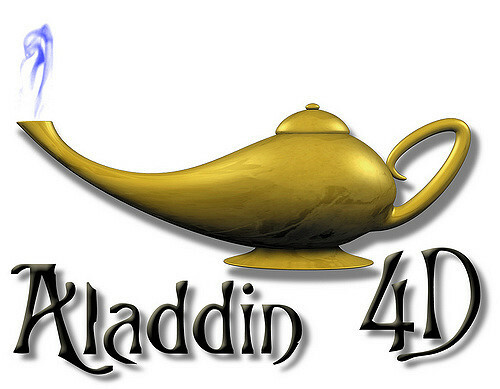 Description: Aladdin4D is a computer program for modeling and rendering three-dimensional graphics and animations, currently running on AmigaOS and Mac OS X platforms. A-Eon Technology Ltd owns the rights and develops current and future versions of Aladdin4D for AmigaOS, MorphOS & AROS. All other platforms including OS X, iOS, Windows & Linux are developed by DiscreetFX. Nova Design added many modern features and made it easier to use. It was one of the first 3D animation programs on any platform to employ volumetrics, which were primarily used to create volumetric gas. However, unlike the majority of Amiga 3D programs, it used scanline rendering instead of the more photo-realistic ray tracing technique. Scanline rendering is similar to the rendering technique used in most Pixar movies. 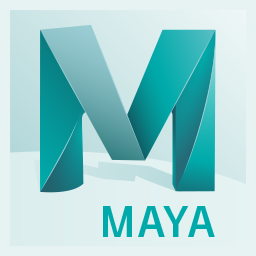 Description: Maya is an application used to generate 3D assets for use in film, television, game development and architecture. The software was initially released for the IRIX operating system. However, this support was discontinued in August 2006. Users define a virtual workspace (scene) to implement and edit media for a particular project. Scenes can be saved in a variety of formats, the default being .mb (Maya D). Maya exposes a node graph architecture. Scene elements are node-based, each node having its own attributes and customization. As a result, the visual representation of a scene is based entirely on a network of interconnecting nodes, depending on each other's information. For the convenience of viewing these networks, there is a dependency and a directed acyclic graph. Users who are students, teachers (or veterans or unemployed in USA markets) can download a full educational version from the Autodesk Education community. The versions available at the community are only licensed for non-commercial use (once activated with the product license) and some products create watermarks on output renders. The software comes with a full 36-month license. Once it expires, users can log into the community to request a new 36 months license and download the latest Autodesk product. 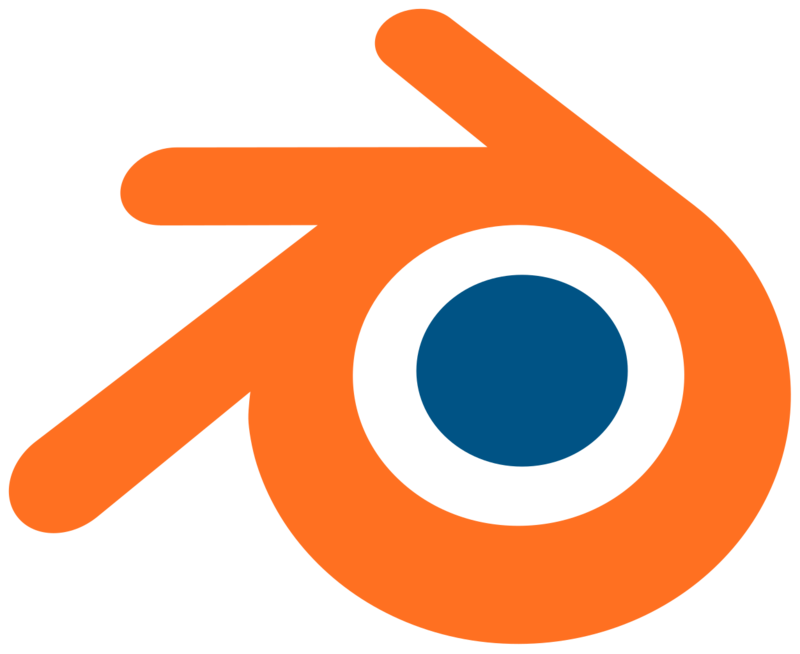 Description: Blender is a professional, free and open-source 3D computer graphics software toolset used for creating animated films, visual effects, art, 3D printed models, interactive 3D applications and video games. Blender's features include 3D modeling, UV unwrapping, texturing, raster graphics editing, rigging and skinning, fluid and smoke simulation, particle simulation, soft body simulation, sculpting, animating, match moving, camera tracking, rendering, video editing, and compositing. It further features an integrated game engine. Description: LightWave is a software package used for rendering 3D images, both animated and static. It includes a fast rendering engine that supports such advanced features as realistic reflection, radiosity, caustics, and 999 render nodes. 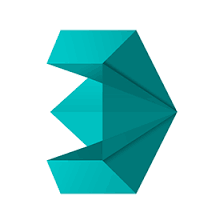 The 3D modeling component supports both polygon modeling and subdivision surfaces. The animation component has features such as reverse and forward kinematics for character animation, particle systems, and dynamics. Programmers can expand LightWave's capabilities using an included SDK which offers Python, LScript (a proprietary scripting language) scripting and C language interfaces. Description: MotionBuilder is a professional 3D character animation software produced by Autodesk. It is used for virtual production, motion capture, and traditional keyframe animation. It was originally named Filmbox when it was first created by Canadian company Kaydara, later acquired by Alias and renamed to MotionBuilder. Alias, in turn, was acquired by Autodesk. It is primarily used in film, games, television production, as well as other multimedia projects. Mainstream examples include Assassin's Creed, Killzone 2, and Avatar. At SIGGRAPH 2012, Autodesk announced a partnership with Weta Digital and Lightstorm Entertainment to develop the next generation of the technology. 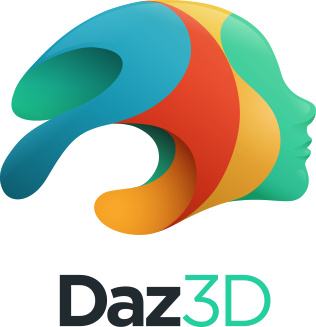 Description: Daz Productions, Inc ., commonly known as Daz 3D, is a 3D content and software company specializing in providing rigged 3D human models, associated accessory content, and software to the prosumer market. 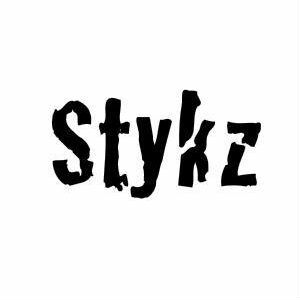 It was originally part of Zygote Media Group, a general purpose, application-agnostic 3D content broker, and split off as "Digital Art Zone" in 2000 to focus on supplying content for the Poser market. After acquiring other modeling tools, DAZ 3D created their own 3D posing/animation package, DAZ Studio, while still continuing to make content compatible with Poser for several years. DAZ 3D also sells third-party applications usable with their products. 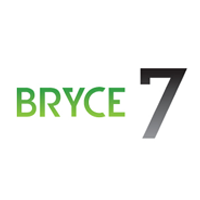 Description: Bryce is a 3D modeling, rendering and animation program specializing in fractal landscapes. The name is taken from Bryce Canyon — a rugged region with many of the same landscapes that were first simulated with the software. The original Bryce software arose from working with fractal geometry to create realistic computer images of mountain ranges and coastlines. An initial set of fractal-based programs were developed by Ken Musgrave (who later created MojoWorld) a student of Benoît Mandelbrot, and extended by Eric Wenger. Wenger later met and worked with software artist Kai Krause to design a basic user interface. The first commercial version, Bryce 1.0, appeared in 1994 for the Macintosh. Description: Modo (stylized as MODO, originally modo) is a polygon and subdivision surface modeling, sculpting, 3D painting, animation, and rendering package developed by Luxology, LLC, which is now merged with and known as Foundry. The program incorporates features such as n-gons and edge weighting and runs on Microsoft Windows, Linux and macOS platforms. Modo was created by the same core group of software engineers that previously created the pioneering 3D application LightWave 3D, originally developed on the Amiga platform and bundled with the Amiga-based Video Toaster workstations that were popular in television studios in the late 1980s and early 1990s. They are based in Mountain View, California. Modo's workflow differs substantially from many other mainstream 3D applications. While Maya and 3ds Max stress using the right tool for the job, Modo artists typically use a much smaller number of basic tools and combine them to create new tools using the Tool Pipe and customizable action centers and falloffs. 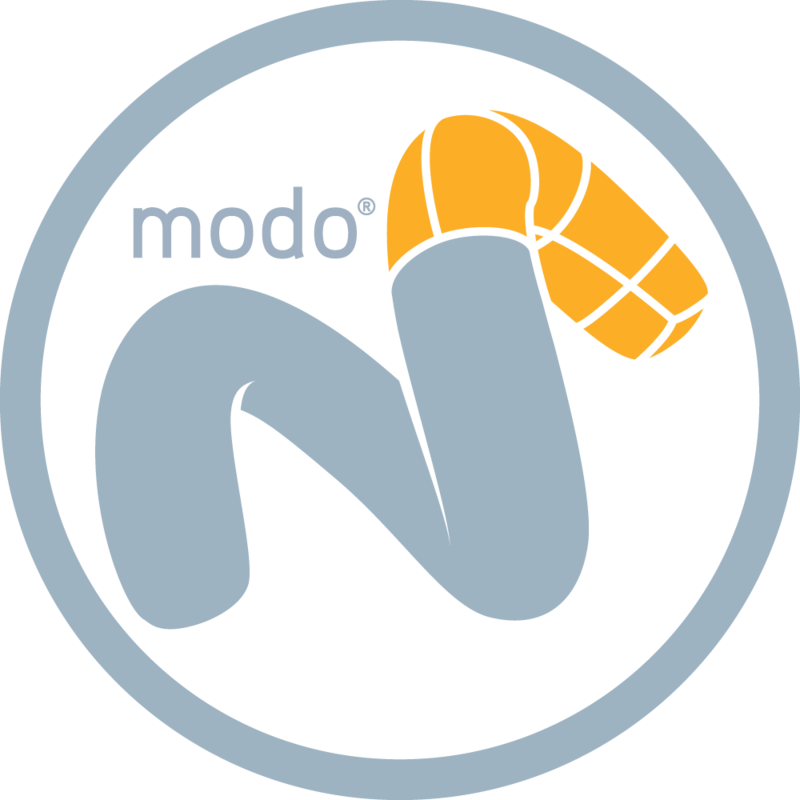 Modo was used in the production of feature films such as Stealth, Ant Bully, Iron Man, and Wall*E.
Description: K-3D is a free 3D modelling and animation software. It features a plug-in-oriented procedural engine for all of its content. K-3D supports polygonal modeling, and it includes basic tools for NURBS, patches, curves, and animation. Despite its name, it is not a KDE application; it uses the GTK+ toolkit via gtkmm. 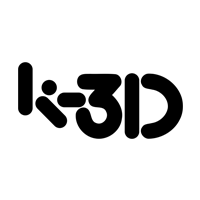 K-3D's interface uses platform's look-and-feel, and it is therefore consistent with other applications that already exist. K-3D features procedural and parametric workflows. Properties can be adjusted interactively and results appear immediately. The node-based visualization pipeline allows more possibilities than traditional modifier stacks or histories. Selection flows from one modifier to the next. Standards form the foundation on which K-3D builds - including native RenderMan support that integrates tightly with the K-3D user interface. K-3D supports a node-based visualization pipeline, thus allowing the connection of multiple bodies. Work on one side of a model, show the other side mirrored, and see the end result welded together as a subdivision surface in real-time. Go back, modify the beginning of a workflow, and watch as changes propagate automatically to the end. Description: Anim8or is a freeware OpenGL based 3D modeling and animation program by R. Steven Glanville, a software engineer at NVidia. Currently, at stable version 0.98 (version 1.0 beta 3 is available as of 22 Mar 2017), it is a compact program with several tools which would normally be expected in high-end, paid software. To date, every version released has been under 3 MB, despite the fact that it does not make full use of the windows native interface, carrying some graphical elements of its own. Although few official tutorials have been posted by the author, many other users have posted their own on sites such as YouTube and the Anim8or home page. While Anim8or was once comparable to other freeware 3D animation software such as Blender, it has seen less progression in recent years. Description: Moviestorm is a real-time 3D animation app published by Moviestorm Ltd. 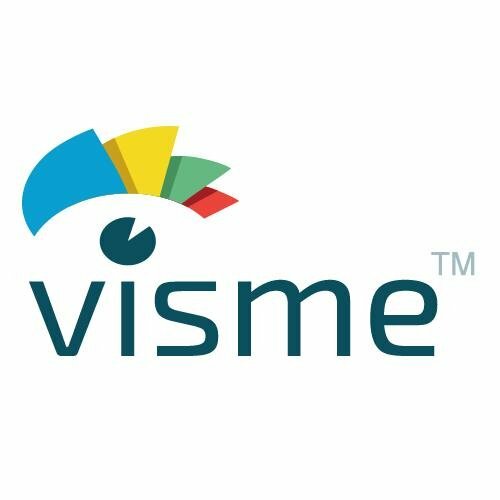 The software is available to and used by people of all age groups and appeals to those with a diverse range of backgrounds and interests, from amateur and professional filmmakers, through to businesses and education, as well as people just looking to simply tell stories or create messages to share using video. Moviestorm enables the user to create animated movies, using machinima technology. It takes the user from initial concept to finished, distributed movies. Sets and characters can be created and customized, and scenes can be filmed using multiple cameras. Moviestorm is being used predominantly in education by students of film and media studies as a means to develop their skills and expand their portfolio, as well as a collaborative cross-curricular creative tool in education sectors from elementary to high school. The software's website features a Web 2.0 social media service, which includes a video hosting service, and an online community where movie-makers can talk about their movies, find collaborators, and organize online events. 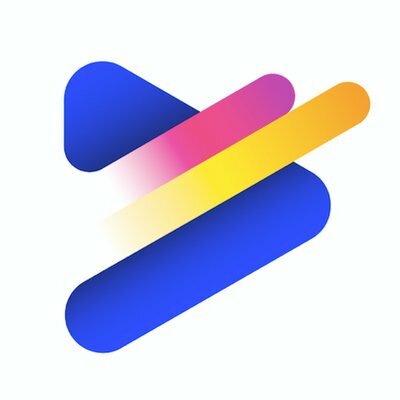 Moviestorm also makes use of Twitter, YouTube and Facebook to release the latest news on the software and to interact with both current and potential users. Description: Messiah Studio is a 3D animation and rendering application developed by pmG Worldwide. It runs on the Win32 and Win64 platforms. It is marketed to run on Mac OS X and Linux via Wine. Messiah's fourth version, Messiah Studio was released April 2009 and version 5.5b as Messiah Animate was released November 2006. Messiah Studio6 was released in April 2013. Description: Hash Animation: Master is a 3D character animation application offered by Hash, Inc. that includes tools for modeling, rigging, animation, texturing, lighting and rendering. Although Animation: Master was developed for and is targeted towards independent artists, with a workflow optimized to enable one artist to create a rendered animated piece from start to finish, the workflow also presents economic advantages for larger workgroups. The software uses a proprietary spline mesh technology to perform modeling and animation, and it is different in this sense from polygon mesh or NURBS-based programs. The system used is called patch-based modeling. It uses multiple intersecting splines to create surfaces, called patches. Patches present an efficiency in that one patch can describe a complex curved surface that would require many facets to approximate in flat polygons. Aside from the typical 4-sided patches common in many spline modeling environments, Animation: Master can also create 3 and 5-sided patches which enable mesh topologies not possible in other applications. Description: CrazyTalk is Reallusion's brand name for its 2D animation software. The product series includes CrazyTalk, a 3D facial animation software tool, and CrazyTalk Animator, a face, and body 3D animation suite. 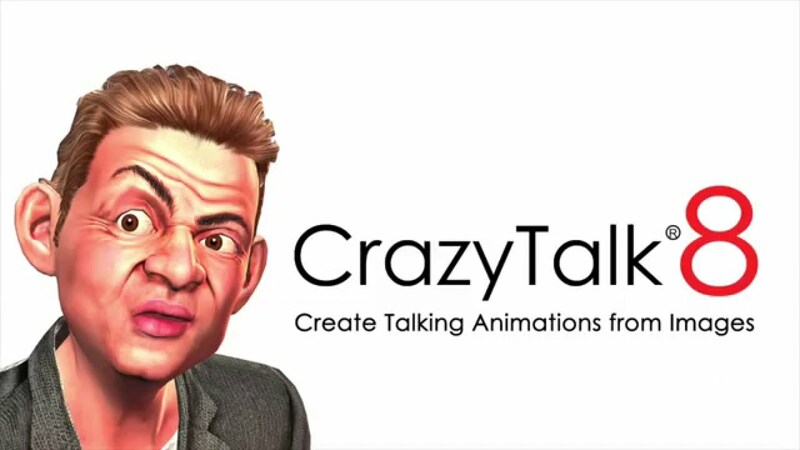 CrazyTalk, the 3D facial animation software, is a real-time, 3D animation and rendering software that enables users to make 3D animated cartoons. It is a facial animation tool that uses voice and text to vividly animate facial images. It has an auto motion engine which allows animators to use the intensity of their voice to drive their animations in real-time. As of January 2016, the CrazyTalk software is in version 8. CrazyTalk is developed and marketed by Reallusion, a company that has software and digital content development base in Taiwan with offices and training centers in the U.S. and Germany. Description: Renderforest is a cloud-based video maker for creating intro videos for YouTube, explainer animations, kinetic typography, product or service promotional videos, music visualizations, wedding or travel slideshows, mobile app promotions, event invitations, corporate presentations, infographics and a lot more. Renderforest provides most of its services for free. All of the templates and tools are available for free. You can render and export your video in minutes in SD 360 quality with watermarks. If you want it to be without watermarks and in HD quality, then you need to subscribe to one of the plans or pay for a one-time export. It’s a great solution for individuals or businesses that want their product to have a professional result and broadcast quality but don't have any tech knowledge to build a professional product from scratch. Description: Toufee is flash movie creating/editing software that is distributed online. It is an online software which runs inside the browser, so it is compatible with Windows, Linux and Macintosh operating systems. It contains features such as text effects, image transitions, audio/video support, and timeline editing. Description: Animatron is a web-based animation software that enables users to make and edit animations and interactive content. The company was formed as a corporate spin-off from JetBrains in 2011. It provides an HTML5 animation tool that allows displaying created animation on any mobile or desktop webpage. 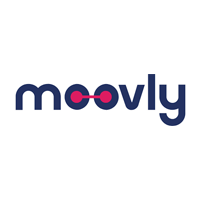 Description: Moovly is a company that provides a cloud-based platform (SaaS) that enables users to create and generate multimedia content: animated videos, video presentations, animated infographics and any other video content that includes a mix of animation and motion graphics. Description: Animaker is an easy to use animated video creation tool. Create an account to begin your video and choose a template to customize. 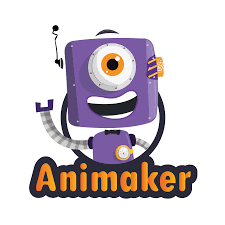 Be sure to watch the tutorials before starting to learn all of the features included with Animaker. 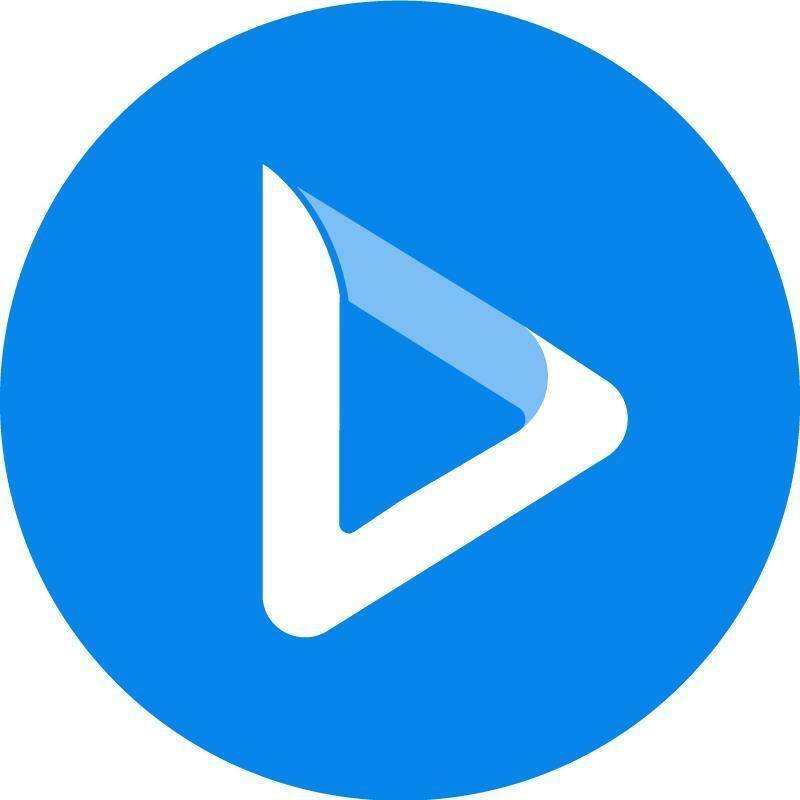 When complete, download a video to your computer or directly to YouTube or Facebook. Free accounts allow videos up to 2 minutes in length and five exports per month. The tutorials reside on YouTube. If your district blocks YouTube, the videos may not be viewable. You could always view them at home and bring them to class "on a stick" to share. Description: PowToon is a web-based animation software that allows users to create animated presentations by manipulating pre-created objects, imported images, provided music and user-created voice-overs. 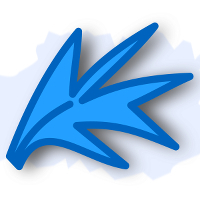 Powtoon uses an Apache Flex engine to generate an XML file that can be played in the Powtoon online viewer, exported to YouTube or downloaded as an MP4 file. PowToon is also available in the Google Chrome Store and has an application on Edmodo.com. Description: Toonator is an online cartoon editing tool. With Toonator you can easily make funny animations. Description: With this web-based tool you can create 3D animations without any prior 3D animation knowledge. You can see animated characters moving instantly. Get high-quality animations that are automatically retargeted to your 3D character and ready to bring into your project. No need to reanimate a walk cycle for each character. 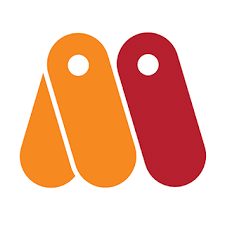 Search the Store for the right animation and get instant feedback on timing. Description: With this online tool you can create, edit, and share videos very easily. Just drag and drop elements or upload your own images and start animating in a few clicks. Or edit one of the ready-made templates in minutes to create an animation. Description: This is an online tool to create visual aids for your story. It can be used to create infographics, presentations and other visual content in a time-saving manner. Description: If you need a business video advertisement or a product video to promote your company, website or an upcoming event - you’ve come to the right spot! 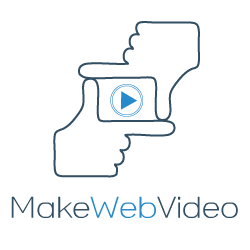 This website has developed an online video animation maker, that lets you make a professional video for your website and will help increase your business sales. 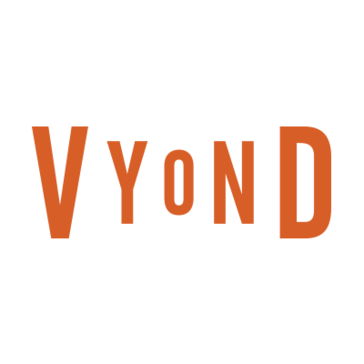 Description: Vyond is an online tool that lets you create your own animated videos. Create your own characters, choose the one that fits your needs with the specific description. Audio is automatically lip-synced to the characters, so it looks professional. This platform has a free trial available for 14 days. Description: Prezi is a web-based presentation software, created in Hungary. This freedom of movement enables “conversational presenting”. It’s a presentation style following the flow of dialogue. The company that develops Prezi, also called Prezi, was founded in Budapest, Hungary in 2009, and has additional offices in San Francisco and Mexico City. As of March 2017, Prezi had reportedly over 75 million users, who had created more than 260 million prezis. The word Prezi is the short form of “presentation” in Hungarian. Description: Toon Boom Animation Inc. is a Canadian software company that specializes in animation production and storyboarding software. 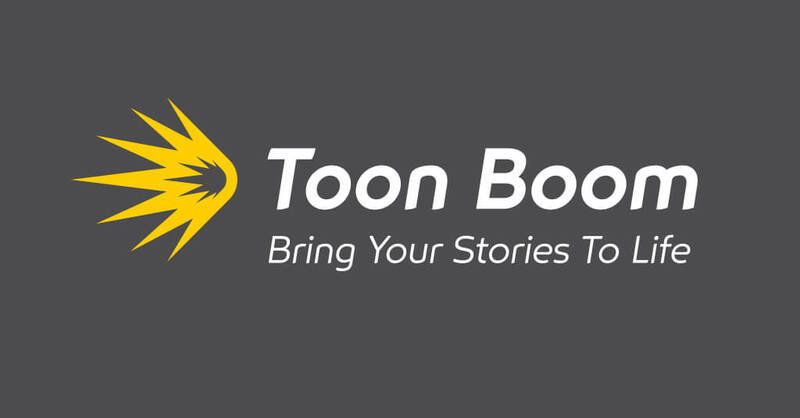 Founded in 1994 and based in Montreal, Quebec, Toon Boom develops animation and storyboarding software for film, television, web animation, games, mobile devices, training applications, and education. It was acquired by Corus Entertainment in 2012. 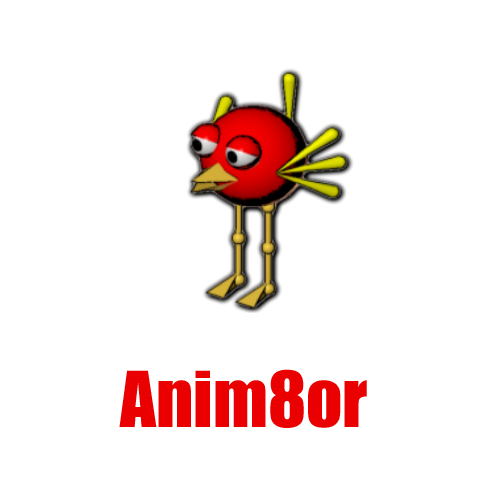 Toon Boom software is used in over 130 countries and was awarded the Primetime Emmy Award in 2005 and 2012, among other awards. Notable users include Walt Disney Animation Studios and Disney Television Animation, Pixar, Cartoon Network, Warner Bros. Animation, Fox, Rough Draft Studios, Nelvana, Xilam, Mercury Filmworks, China Central Television, Toonz India Ltd, Digital eMation and Gaumont Animation. Description: Adobe After Effects is a digital visual effect, motion graphics, and compositing application developed by Adobe Systems and used in the post-production process of filmmaking and television production. 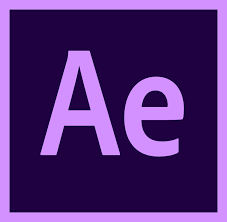 Among other things, After Effects can be used for keying, tracking, compositing, and animation. It also functions as a very basic non-linear editor, audio editor, and media transcoder. Description: Pivot Animator (formerly Pivot Stickfigure Animator and usually shortened to Pivot) is a freeware application that allows users to create stick-figure and sprite animations, and save them in the animated GIF format for the use on web pages and the AVI format (in Pivot Animator 3 and later). Pivot provides a simple, easy to use interface with a few features. It uses fixed length 'sticks' to ensure size consistency during the animation. Description: Microsoft PowerPoint is a presentation program currently developed by Microsoft, for use on both Microsoft Windows and Apple Macintosh operating systems. 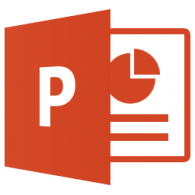 PowerPoint, initially named "Presenter", was created by Forethought Inc. Microsoft's version of PowerPoint was officially launched on May 22, 1990, as a part of the Microsoft Office suite. PowerPoint is useful for helping develop the slide-based presentation format and is currently one of the most commonly used slide-based presentation programs available. Microsoft has also released the PowerPoint mobile application for use on Apple and Android mobile operating systems. Description: SketchBook Pro, also referred to as SketchBook, is a pixel graphics software application that features a radial/pie-menu user interface, intended for expressive drawing and concept sketching. It was originally developed by Alias Systems Corporation, but is now owned by Autodesk. 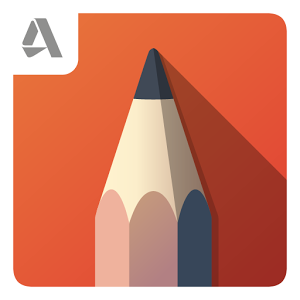 SketchBook Pro has painting and drawing tools such as pencils, markers, and brushes. It uses pressure-sensitive features of graphics tablets, tablet computers, and smartphones to create effects similar to traditional materials. Autodesk SketchBook Pro software also features a screenshot tool for annotation, allowing one to show content during a meeting and add notes as the content is reviewed. The previous/next buttons make it possible to create flipbooks or animations. The program supports layers with import and export of Photoshop (.psd) format. 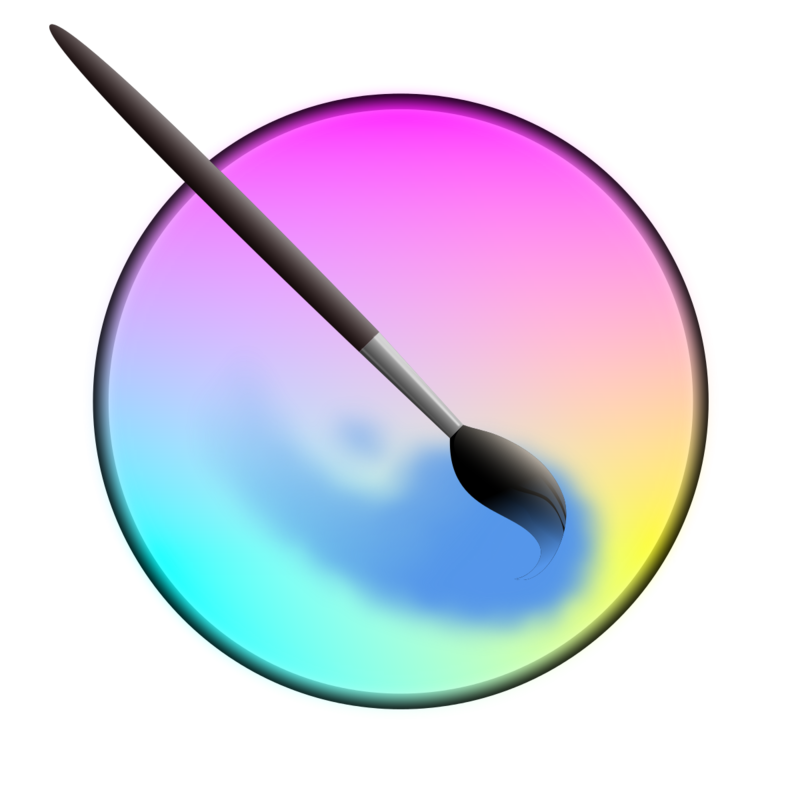 Other features include rulers, symmetry, the ability to customize brushes, create texture brushes, and rotate the canvas. SketchBook Pro communities exist on Twitter, Facebook Tumblr, YouTube, DeviantArt, Google+, and Autodesk's AREA online community. Description: Unity is a cross-platform game engine developed by Unity Technologies, which is primarily used to develop video games and simulations for computers, consoles, and mobile devices. 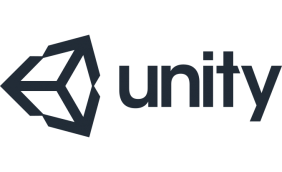 Unity is marketed to be an all-purpose engine, and as a result supports both 2D and 3D graphics, drag and drop functionality and scripting through its 3 custom languages. The engine targets the following APIs: Direct3D and Vulkan on Windows and Xbox 360; OpenGL on Mac, Linux, and Windows; OpenGL ES on Android and iOS; and proprietary APIs on video game consoles. 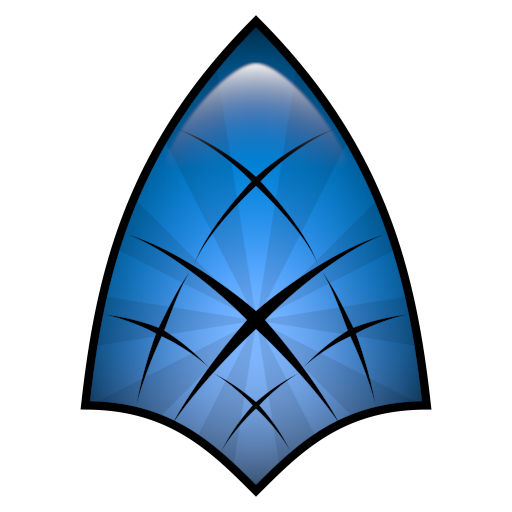 Description: Krita is a professional FREE and open source painting program. It is made by artists that want to see affordable art tools for everyone. With Krita, you can create concept art, texture and matte paintings, and illustrations and comics. Description: Adobe Character Animator is a desktop application software product that combines live motion-capture with a multi-track recording system to control layered 2D puppets drawn in Photoshop or Illustrator. 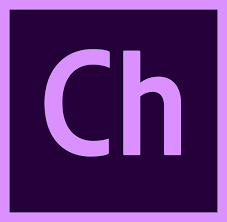 It is automatically installed with Adobe After Effects since CC 2015 and is also available as a standalone application, which you can download separately. It is used to produce both live and non-live animation. Character Animator imports layered Photoshop & Illustrator documents into puppets which have behaviors applied to them. The puppets are then placed into a scene, which can be viewed in the Scene panel and Timeline panel. Rigging is set up in the Puppet panel, though basic rigging is fully automatic based on specific layer names like Right Eyebrow and Smile. The final output of a scene can be exported to a sequence of PNG files and a WAV file, or any video format supported by Adobe Media Encoder. Live output can be sent to other applications running on the same machine via the Syphon protocol (Mac only) or Adobe Mercury Transmit on both Mac and Windows. Scenes can also be dropped directly into After Effects and Premiere Pro, using Dynamic Link to avoid rendering. Description: Clip Studio Paint is an illustration/manga/animation production software. Its high performing rendering engine makes it possible to draw with natural and realistic brush strokes and multi-core CPU support handles high resolution and multiple layers. Since its launch in 2012, more than 3 million people worldwide have used this software. The software is widely used in the professional field as well, including many manga artists and animation studios. Not only the software itself, but Celsys also provide various services for its users, including CLIP STUDIO ASSETS for downloading materials, and CLIP STUDIO TIPS for tutorials and drawing techniques. Currently, the software is supported in 7 different languages (Japanese, English, Traditional Chinese, Korean, French, Spanish, German). A free trial version is available on PC and iPad. As you can see, there are a lot of options to choose from, depending on your needs and skills. Pick the tool that suits you best to create the most compelling animations.